I can’t believe tomorrow is already October! I could not be more excited- October is definitely my favourite month. Tonight I plan on making an “October To Do List” (I am so type A it is scary haha). There are so many fun things to do that I want to make sure I don’t forget anything! So far at the top of my list are going apple picking with my goddaughters, baking apple and pumpkin pies, and celebrating two of my closest friends birthdays. "Fall Print Mixing – Plaid and Stripes"
The fringe and suede skirts are my favorite. Fab list!! I cannot believe tomorrow is October already. Wow, where did September go haha? Thanks Amanda! And me too- I am swooning over suede right now! I love the fringe skirt, it's a fun way to give the fringe trend a go! Totally!! My favorite ways to rock the fringe trend are on skirts and ankle boots! Thanks Abby! Isnt that floral crochet one really cool!? I like that it's unique – mixing a summery, girly sort of look with a serious corporate skirt. love! 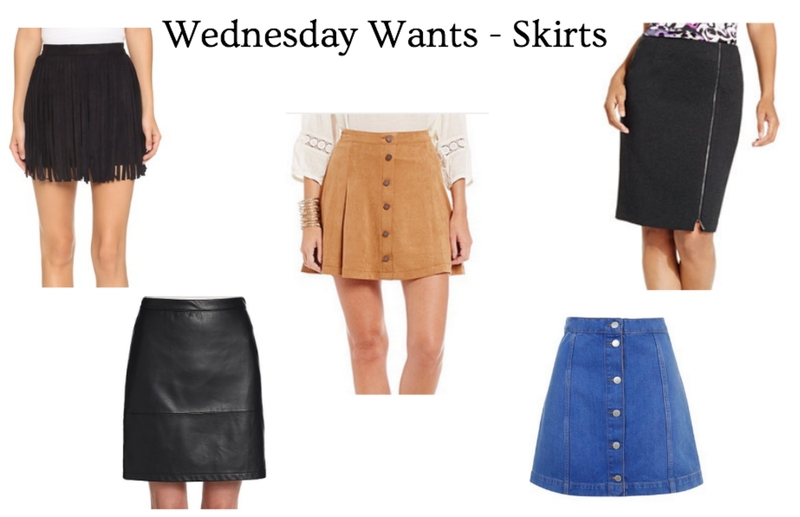 I have been wanting a suede button up skirt – they are so perfect for fall. I agree! Such a great fall trend! Really great picks! 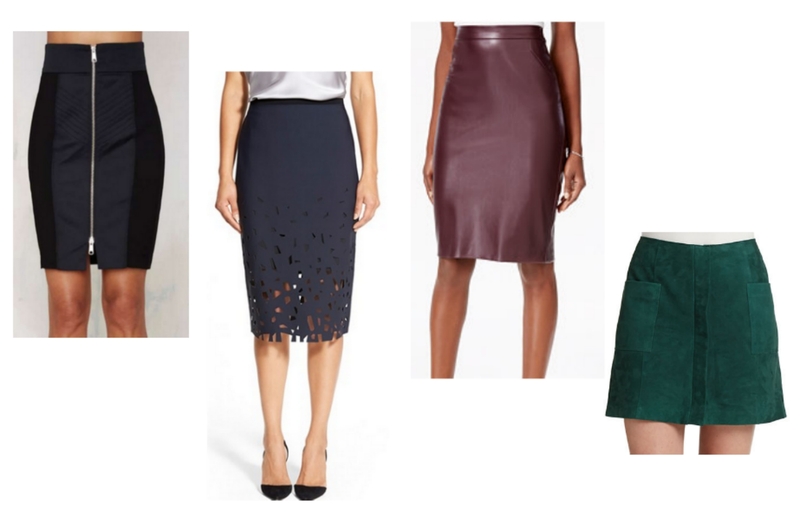 I really want to add a suede skirt to my wardrobe this season. Thank you!! And me tooooo. I think it's such a versatile fall item!